Definition: Capitalization rate defines the percentage number used to determine the current value of a property based on estimated future operating income. In other words, taking the net operating income from an apartment complex and dividing it by the capitalization rate would yield the approximate current value of the complex. The capitalization rate would be determined based on an appraisal and/or the cap rates of similar properties that have sold recently. By taking another apartment project that sold recently, determining it's net operating income (NOI), you would divide the income by the sold price to get the cap rate. Apartment & Multi-family: Apartment & multifamily investing creates excellent cash flows, as well as benefiting from the normal tax and other real estate investment advantages. Learn in this article series about how economy of scale increases cash flows, how they're improved, and how lenders use ratios to analyze cash flow for mortgage decisions. Pop-up Shops: Landlords and their leasing agents must get creative when vacant retail space lingers. Not only does this empty space strain the property owner, but it creates an eyesore in the community. An easy way to remedy both problems is to lease the space out on a short-term basis. Office Space: Not all office buildings are the same, which is why a general classification system exists to categorize them by age, amenities, aesthetics and general infrastructure. Commercial real estate brokers use these classes to prepare market data and justify the prices of spaces within office buildings. Because many factors go into pricing office space, some experts argue that the classifications are subjective. Commercial and retail leases use various rental pricing methods. The decision as to which commercial lease calculation method to use is frequently related to the type of tenant business. It could also have to do with the economy, balancing a need to retain an occupant with their ability to pay based on their business revenues. The gross commercial lease is used most often in multi-tenant and single tenant office buildings, industrial and some retail properties. The landlord collects fixed rents and pays the expenses out of them. 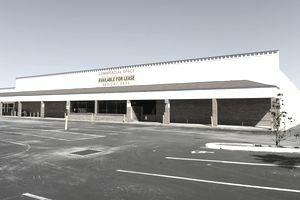 The triple net lease is used extensively in commercial real estate. It is popular for multi-tenant industrial and retail properties. With tenants whose expenses vary greatly, such as an industrial user of electricity, the triple net lease is best for the landlord. Unlike residential real estate, the commercial real estate agent cannot count on a fast start by working with friends and relatives. They aren't buying or leasing offices or retail spaces normally. Commercial real estate can be a lucrative field for those who can survive or even thrive on the profession’s demands. If you believe this industry equals fast money and minimal work hours, however, it may not be for you. There are certain skills, considerations and duties anyone should examine before becoming a commercial real estate agent, a profession that can be both rewarding and unpredictable. Selling a working business, even when the real estate is included, requires a very different approach to valuation. Too often real estate agents and brokers don't realize the difference, as they don't get that many requests for this type of transaction mix. That's a lot of good information if you're considering commercial real estate. Whether you're starting there or switching over from residential, it's a big step. You can go for a while without a commission, so financial preparation is important.